I love making a frittata. It’s an easy-to-make, healthy meal and a great way to express your creativity. 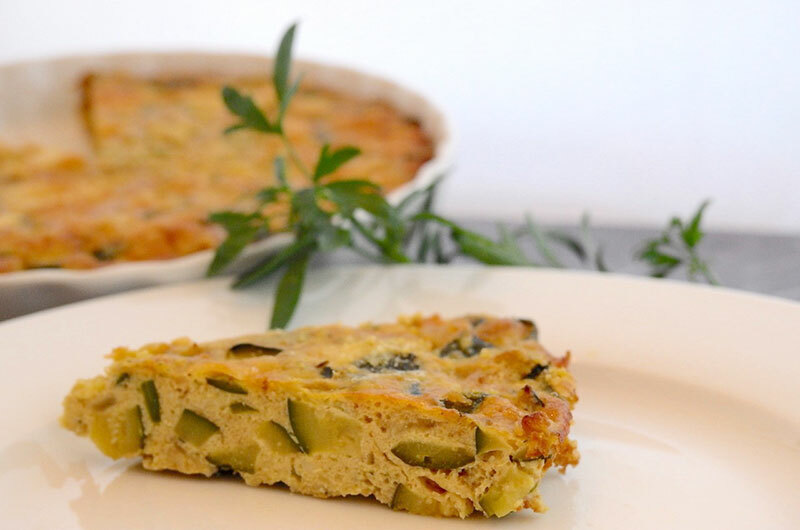 All you need are your favorite vegetables (mine are zucchini, bell peppers and artichokes) along with onions, eggs, cheese, and of course extra virgin olive oil – and if you have one, a “gira frittata’’ pan to easily flip/turn your frittata. You can also bake a frittata. Instead of “frying” (which is the meaning of the word, frittata), put the mixture in a well-oiled baking dish; sprinkle with shredded or grated Parmesan cheese and bake at 350 for 40 – 45 minutes. Let cool before slicing. This type of frittata or really “torta” resembles more of a quiche. Sauté onion in olive oil; when onions become clear, add garlic and continue to sauté for a minute. Add zucchini and sauté until zucchini are soft (cover for fast cooking). When zucchini mixture is cool, add to eggs. Then add the grated Parmesan cheese and breadcrumbs and mix. In oiled frying pan, place zucchini mixture and cook over medium heat until the mixture becomes firm. When the mixture reaches this stage, your frittata is half finished. Place a dinner plate over the pan and carefully invert the frittata, letting it slide back into the pan to cook the other side. When the frittata is golden brown and egg mixture congealed, slide onto a plate and serve warm (or cold). Note: if you do not wish to try to invert the frittata, you can put it under the broiler in the oven, until it is firm and golden in color; or if you travel to Italy, you may find a “Gira Frittata ” - “turn the frittata” pan for easy flipping or you can buy a similar pan at a gourmet cooking store.